The raw noise induced drone of track one, Cypress climbs, yet goes nowhere in particular. It subdues the moment and leaves the listener with an unearthly din ringing in the ears, only to be assaulted once again by track two, Zephyr. 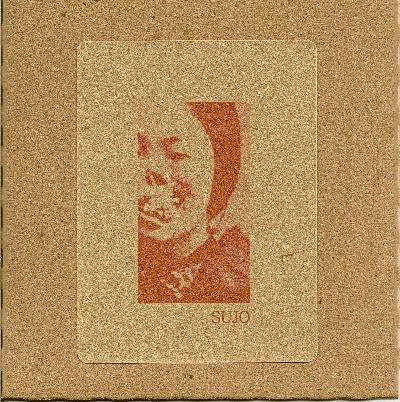 Here we hear Sujo bombard the brain with a heavy distorted melody, minimal yet happy sounding. However, in the background, we hear what sounds like the Devil breathing, inhaling like layers of heavy backwards chord sustains, droning in chaos and not letting up. The noise is head battering at times and tender brains should avoid it. Noise freaks who like almost industrial chaotic nothingness will like this no doubt. But I must say that it is a hard listening album, the total opposite of easy listening. Track three, Dahma, is the first track where you can hear a band crank up fully, to persist with more unearthly twanging. Dahma has an almost Melvins sounding drone to it, accompanied by more of the Devil breathing, and more of the same noise that would crack tender brains in no time.